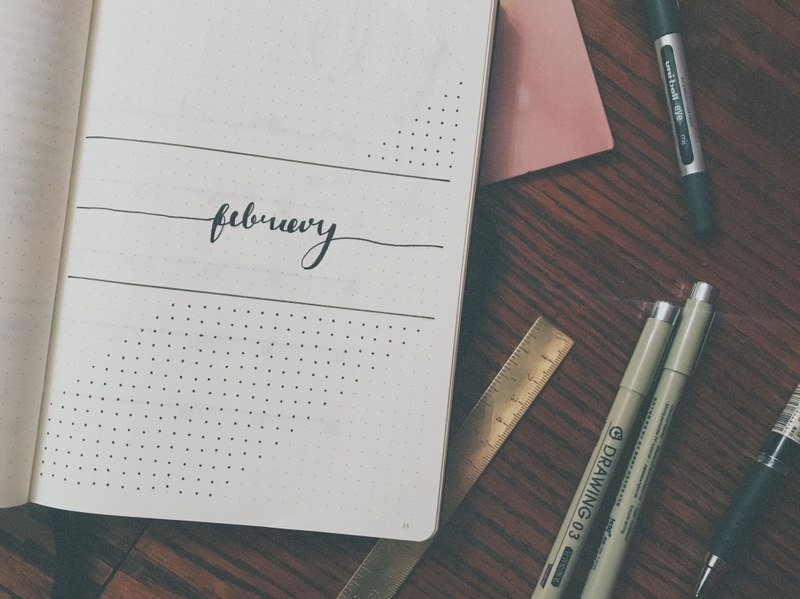 Today I wanted to share with you the pages in my bullet journal from January. 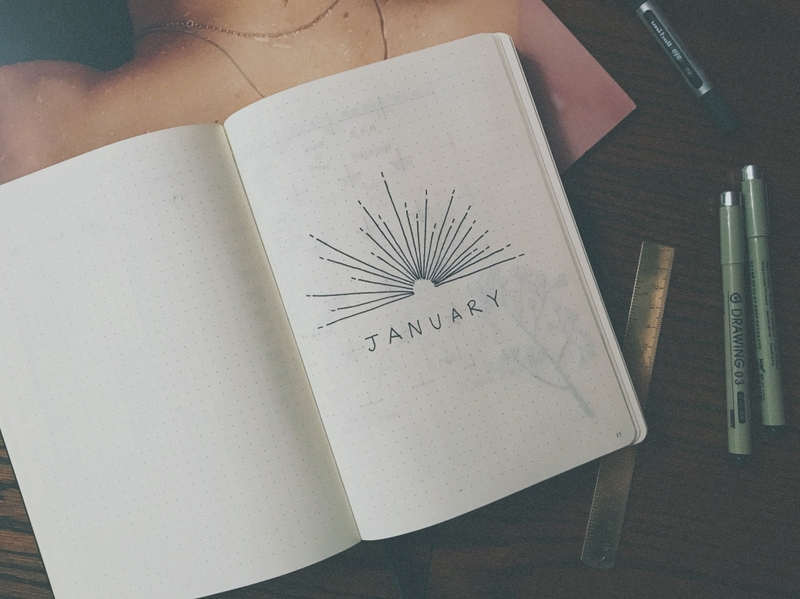 Like my lopsided lines for my January cover? I'm loving my more minimalistic theme compared to last year. I think there's definitely room to add further decoration without going too crazy, but in January I really needed function over form. I had a lot of blogging things I wanted to organise, as well as starting to carve out some plans for later in the years - holidays and such. Here's my monthly spread. I love the style of the grid! 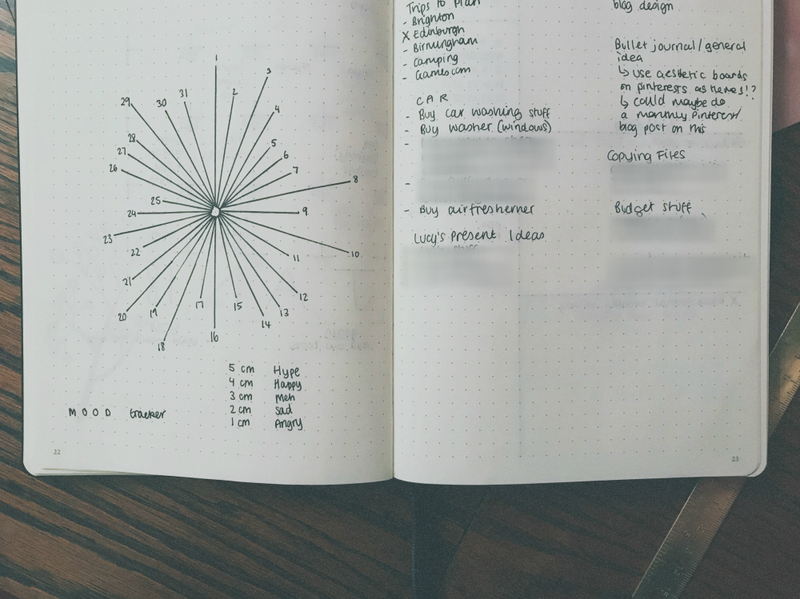 My monthly log was plain and simple and at first a little empty. Thankfully I managed to fill this up as time went on. I'm currently finding joy in things which cost less money than going out-out, like playing board games with my fave chums until the early hours. 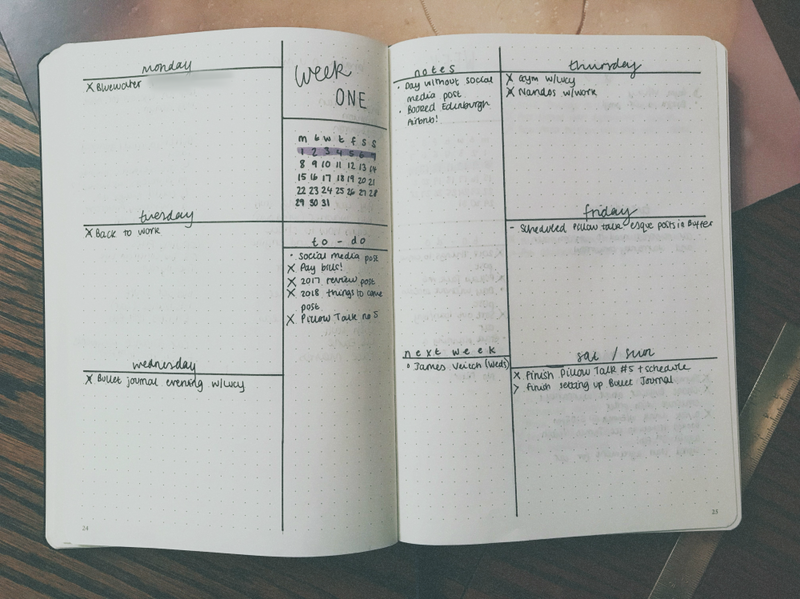 I wanted to keep my monthly log simple and left room for if I wanted to decorate or add in any tasks/goals. 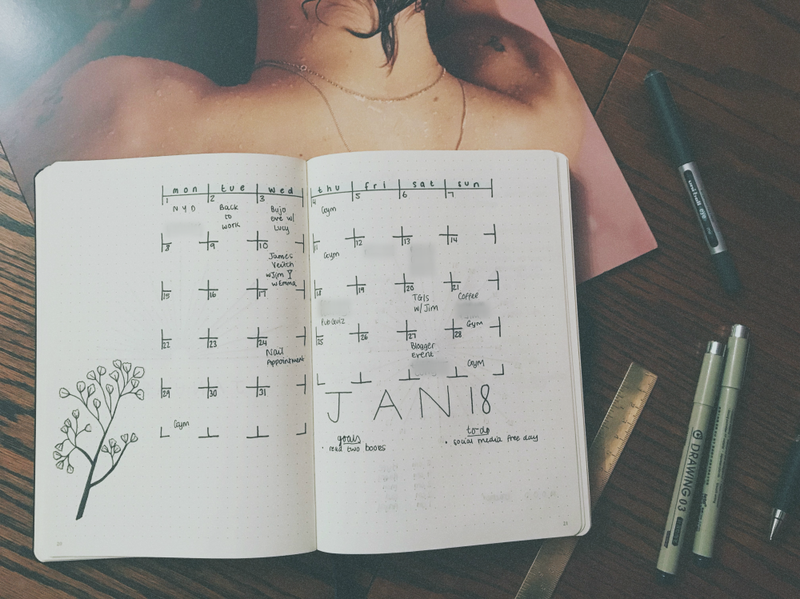 Overall, I loved this layout and got a lot of use (and joy) from the calendar. I like being able to plan things in. I love being able to look forward to things. Didn't really make proper use of the tasks section so I might drop that. There's always going to be things I want to jot down but just don't quite fit anywhere else. That's where my bullet journal came in handy. I did a very adult thing last month and bought my own car (omg who am I?) and that required quite a lot of organisation, so much of my bujo spread was taken up with errands relating to that. Oh ma goodness. Now, call me boring, but I've found a weekly spread that works for me so well I don't ever want to change it. I tried this layout back in December (fact check?) and it works for me so well! 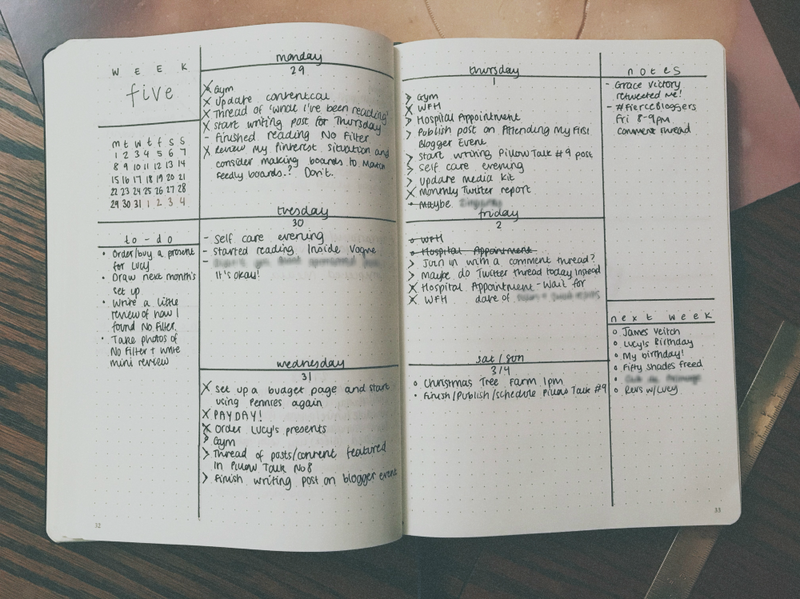 I've got space for tasks, and notes (although sometimes I do find that these cancel each other out and I could easily have one), plus a mini calendar so I know where I am in the month, and, a section for things happening the next week. I like this because a) keeps me organised and allows me to plan, but b) if something exciting is happening next week, I can start getting hyped! I switched it up a bit by changing the column layout. Things were definitely getting busier this week! As I said, for January I really needed form over function, so I didn't have any 'fun' pages or anything. For now, that's alright with me though as my productivity levels were through the roof! Here's a sneaky peak of my cover for this month. 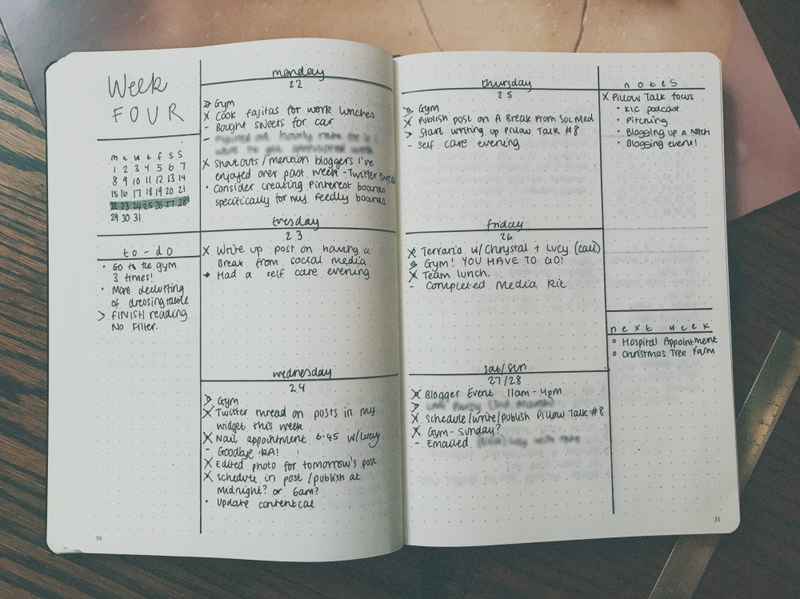 Let me know how you like to organise your weekly spreads!